Adult day training programs are offered at two sites in the Palatka community and are intended to support the participation of individuals in daily, meaningful and valued routines of the community. Four specialized program areas provide services based on individual goals and personal interests. Training is person-centered and developed under the direction of the recipient and is intended to foster independence and enhance the individuals’ quality of life. 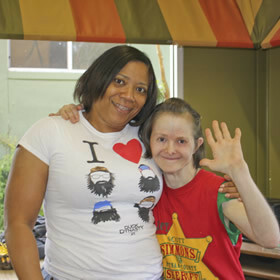 The Arc of Putnam County provides advocacy, individually tailored living environments, meaningful day activities, work training, employment services and support to residents with intellectual and developmental disabilities including autism, cerebral palsy, Down’s syndrome and spina bifida.